His talent is rare. His contribution indispensable." chromatically complex, but haunting and evocative." Tom Nazziola's Debut CD " From Here to There" is now available at CDBaby, iTunes and Amazon. intelligently written...and yet totally accessible for the audience." The first phase of the prestigious Composing for the Screen course is underway. 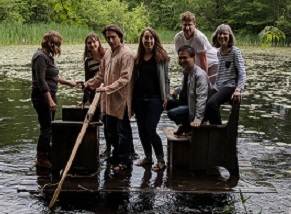 Sponsored by BMI and directed by composer Rick Baitz, this New York City-based program selects a small number of emerging film composers and provides a series of workshops, followed by year-round continued consultation and development. 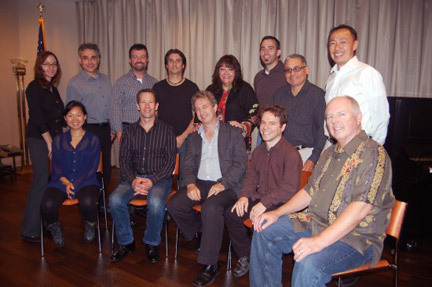 Pictured in New York are (back row) BMI's Lisa Feldman; students Louis Gentile, John Blair and Tom Nazziola; BMI's Doreen Ringer Ross; students William Arnold and Jesus Santiago; and BMI's Ray Yee; (front row) students Linda May Han Oh and Stephen Woltosz; workshop director Rick Baitz; student David Nagler; and visiting composer George S. Clinton. (Photo by Samara Umschweis). Recording session for Arnie Lang's piece "Puerto Rican Songs": From left to right: Ray Marchica, Tom Nazziola, Arnie Lang and Larry Spivack. Day off from recording for Broadway Asia in the Philippines (view from the top of an active volcano). 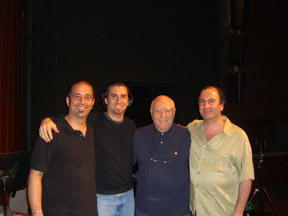 From left to right: Dave Anthony, Tom Nazziola and Doug Oberhamer. 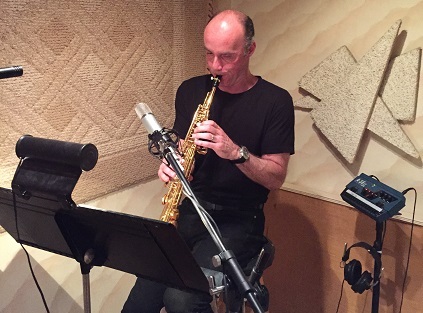 Tom Nazziola at a recording session for Keren Tzobotaro's Debut CD. Batik performing at "Arts on the Lake" in Lake Carmel, NY. 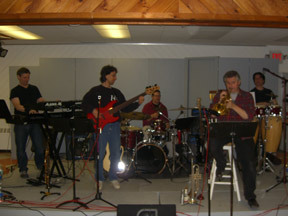 From left to right: John Roggie, Barry Hartglass, Dave Anthony, Tim Ouimett, and Tom Nazziola. John Beck's final percussion ensemble concert at the Eastman School of Music. 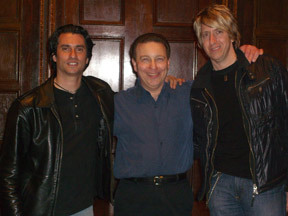 From left to right: Tom Nazziola, Dave Mancini and Rich Mercurio. 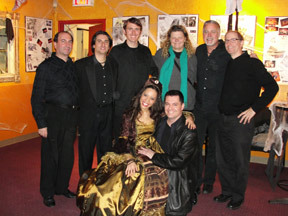 Halloween Spectacular 2011: the BQE Project performs Nazziola's original score to Frankenstein. Front row: Cristina Torres and Doug Oberhamer. 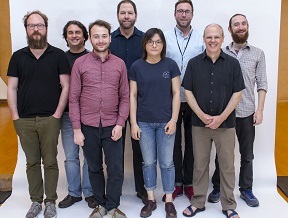 Back row: Larry Spivack, Tom Nazziola, Greg Chudzik, Mary Rowell, John Benthal and David Bakamjian. 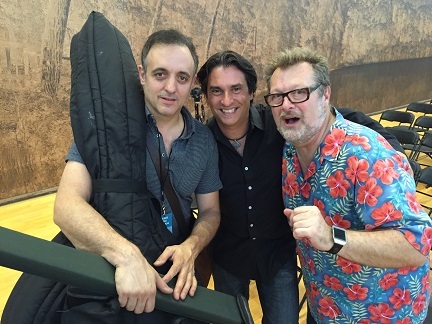 World premiere of "Over the Horizon" at Bang on a Can Summer Festival. 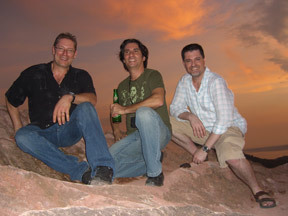 From left to right: Gregg August, Todd Reynolds and Tom Nazziola. 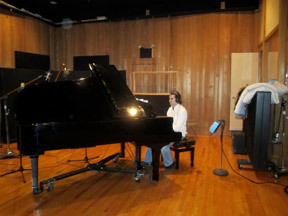 Recording session at Avatar studios. 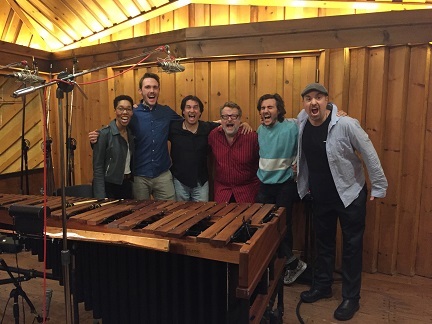 From left to Right: Monica Davis, Greg Chudzik, Tom Nazziola, Todd Reynolds, Matt Evans and Dave Eggar. Dan Willis at Systems 2 recording studio for Tom Nazziola's second album release. Group photo from the Atlantic Center for the Arts composition residency with guest artist John Gibson (2017). 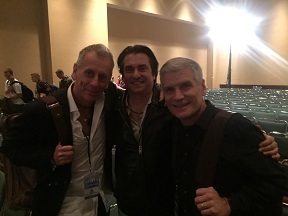 From left to Right: Tom, Joe Locke and Mike Burritt. 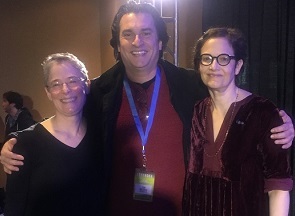 Sharon Leventhal, Tom Nazziola and Nancy Zeltsman at PAS 2017. ©2012 Tom Nazziola. All Rights Reserved.